Belle-de-Nuit, or Four O'Clocks, prefer to emerge in the shade. Some of us can relate to that. Not every living thing thrives in the sunshine. Today's Growing on the High Plains will delve into those unique blooms that are shy during the daytime but come alive in the afternoon. 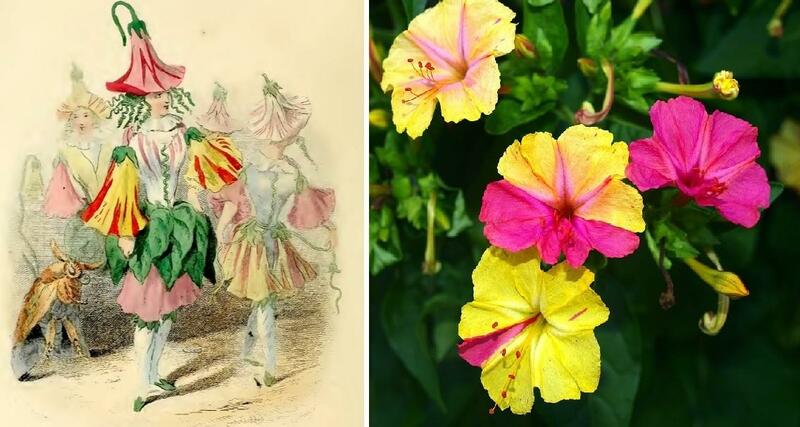 Some of us call them "four o'clocks," but they're also known as "the Marvel of Peru," or "Les Belles-des-Nuits (Ladies of the Night)," but botanists just call them Mirabilis jalapa. Whether they are of the annual or perennial variety, whether they're considered flowers or weeds, and whether they're domesticated or wild, these "late bloomers" have given me a sense of wonder since my childhood. We'll also discuss other "sun shy" species like evening primrose, also known as "sundrops." However you enjoy these afternoon delights, they're often an easy plant to maintain in our dry region.